Relax in any of the five comfortable en-suite guest bedrooms, and you will feel right at home straight away. Carefully created to make you feel at your ease, with full central heating and Wifi access, there are three lovely en-suite rooms in the main house, plus in Annslea Garden Cottage there is a family suite which comprises; a double bedroom and adjoining twin room with en-suite, plus a double bedroom with en-suite. All of the rooms in the cottage are on the ground floor and are easily accessed for the less mobile, or families with small children and babies. Naturally a delicious Highland breakfast is served every morning in the dining room between 8.30 and 9am, where guests can help themselves to a buffet table of cereals, fresh fruit salad, yogurt, fruit juices, grapefruit segments, prunes, plus a selection of cheeses and Scottish oatcakes. Of course this is followed by a sumptuous cooked Highland breakfast, or vegetarian cooked breakfast, with lashings of hot toast, freshly brewed tea, and piping hot coffee. Vegetarian cooked breakfasts are always available on request. 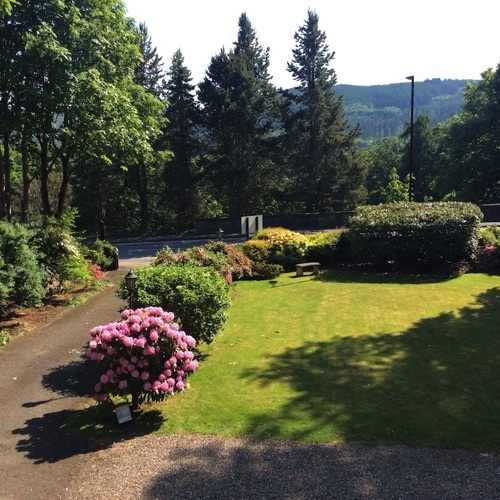 You will be ready for your day ahead in Pitlochry. The peaceful and attractive Victorian architecture of Pitlochry is testament to its royal associations, and its historic past. 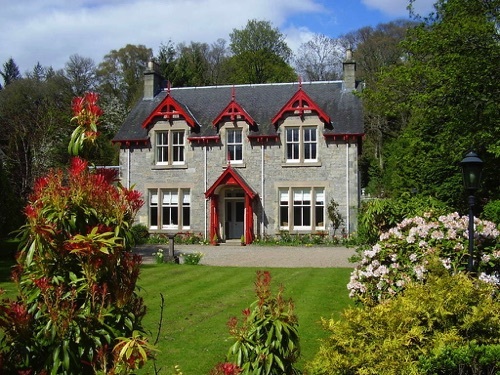 The spacious Victorian villas and community buildings which pervade here are due to the visit of her majesty Queen Victoria in 1842, and the subsequent addition of the Highland railway passing through the town, from Edinburgh to Inverness, in 1863. Today Pitlochry is a centre for theatrical entertainment, with its annual Theatre Festival, outdoor sports attraction, and artists. The surrounding countryside provides ample opportunity for those guests to Annslea who have a taste for adventure: Angling for salmon and trout is always exceedingly popular, as is golf, walking, and cycling. 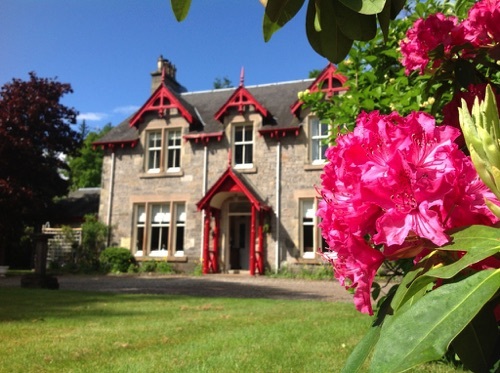 Annslea Bed and Breakfast is situated in close proximity to the famous Pitlochry salmon ladder, which enables fish to migrate up the river Tummel, past the dam at the end of Loch Faskally. Pitlochry also has a boating station, which can easily be reached on a short stroll from Annslea. 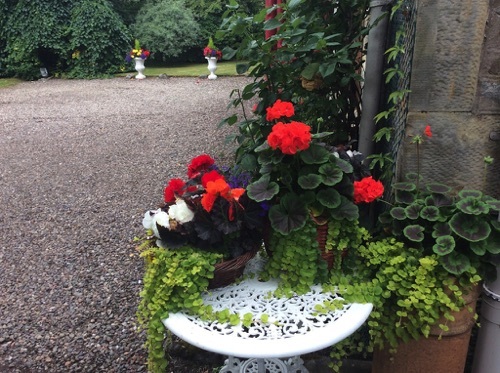 There you will find a delightful loch side café for tea and scones, and the chance for children, and grown-ups, to feed the ducks, hire boats, or rods and tackle for a spot of fishing. 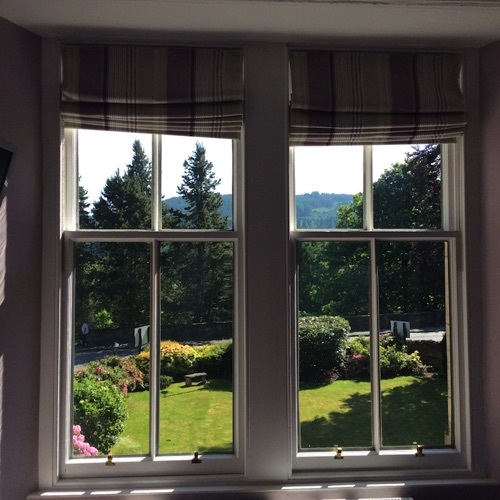 After a busy day of sightseeing or playing a round of golf in the local club, guests will find Pitlochry has many fine restaurants, cafes and bars to entertain them: All the facilities of the centre of town are situated just a short walk from Annslea, which makes going out for an evening meal, or a drink delightfully easy.